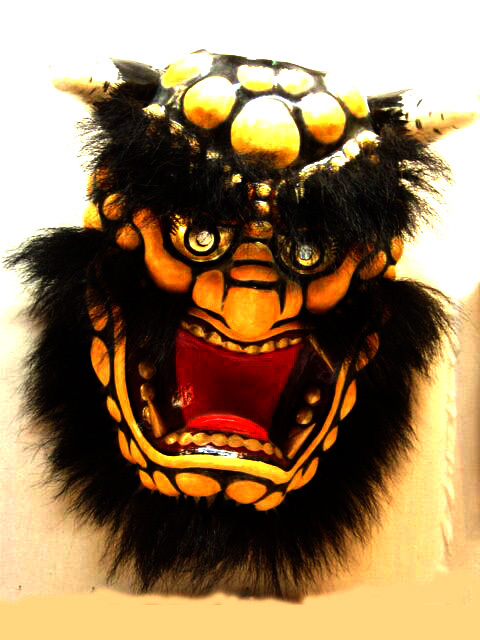 In Japanese folk lore, the Oni is the demon associated with all kinds of evil and distressful emotions. 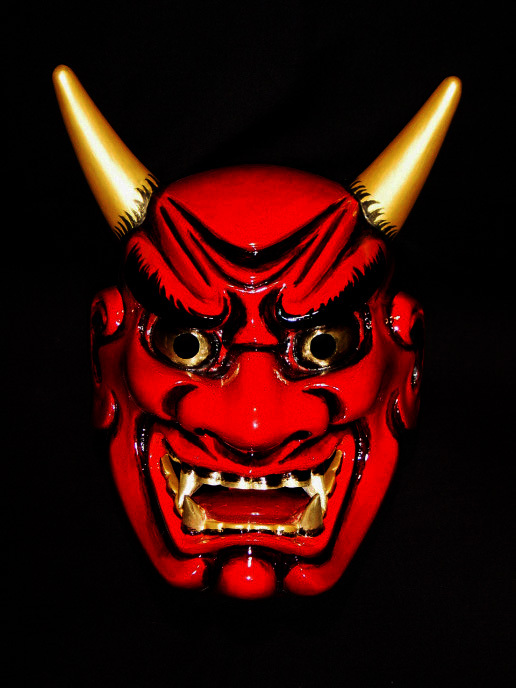 These demons are said to lurk around the dying, rushing in to pull souls down to hell. 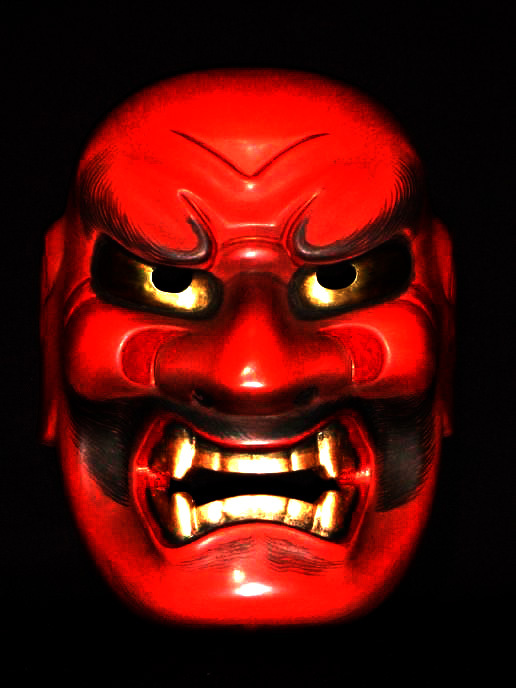 In demon hierarchy, they are worse than the Tengu (the crow-like or long-nosed goblin mischief-maker), wreaking serious damage to humans and devastation to the land. 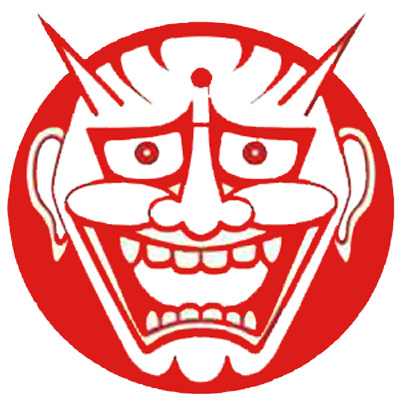 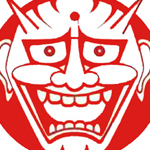 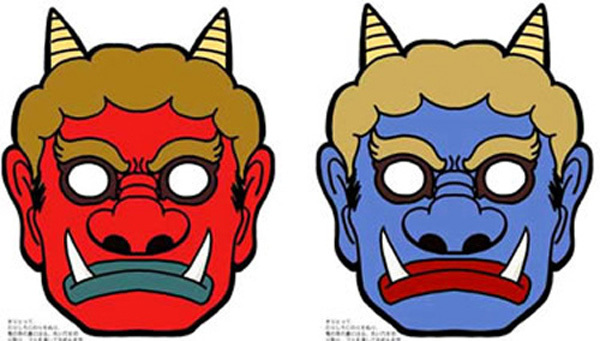 Tattoos of Oni masks are popular with admirers of Japanese traditions and designs. 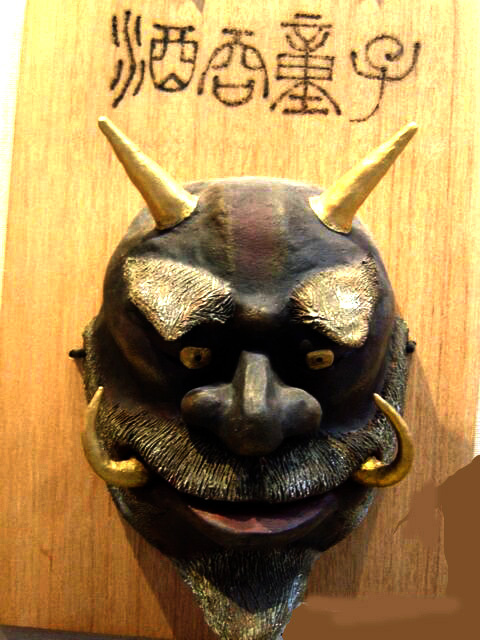 With its ferocious expression, bulging eyes, snarling mouth, and horns sprouting from either side of its forehead, the Oni strongly resembles the devil as portrayed in western religious and folk art. 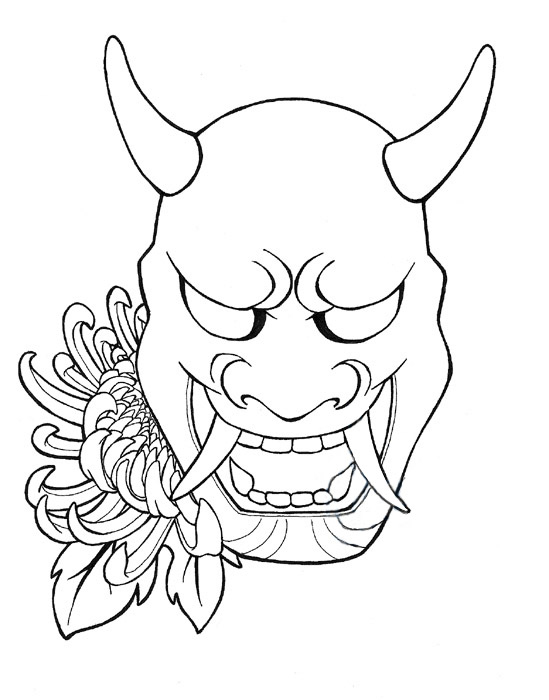 As tattoos, they are often sported on the backs of hands and snarling up the sides of torsos. 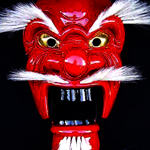 Noh theatre as seen today is said to have been crafted by two great actors of the 14th and 15th century. 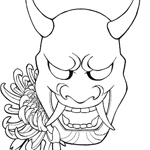 Though it declined after the fall of the last shogun around 1867, the tradition was revived after WWII. 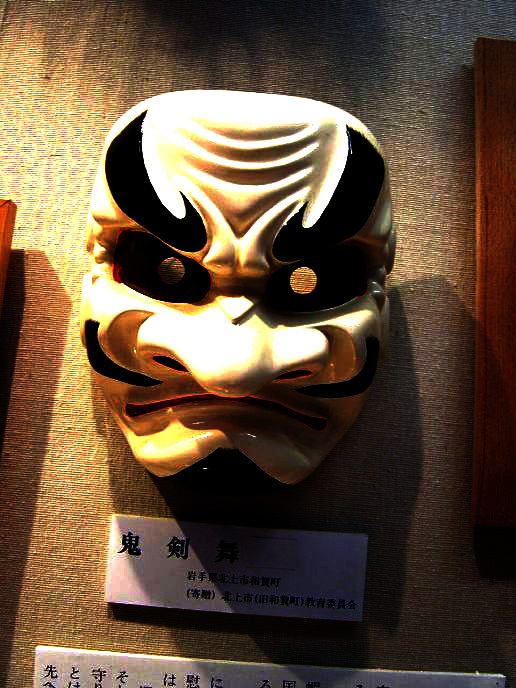 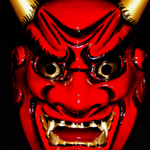 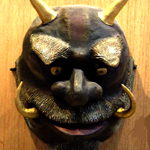 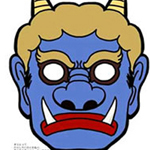 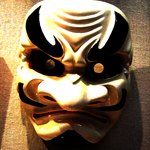 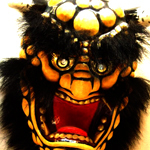 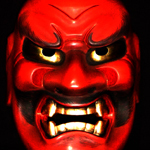 The devilish mask of the Oni can still be seen in Japanese performances, looking as evil now as they did more than 500 years ago. 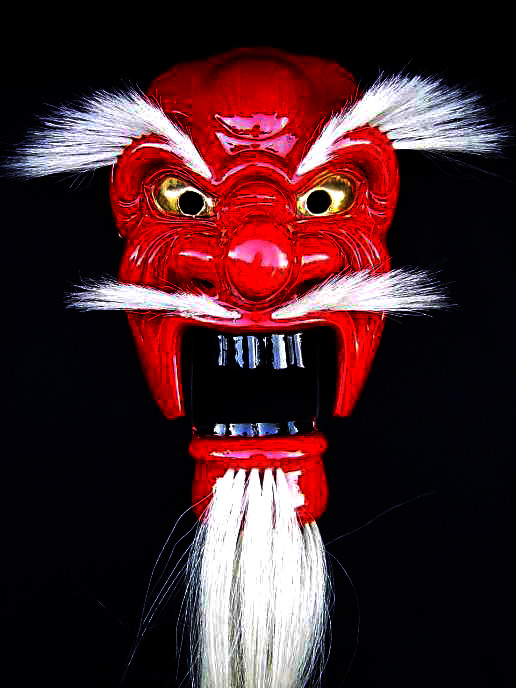 See also: Hannya Masks, Tengu, Japanese Tattoos and Japanese Tattoo Index.